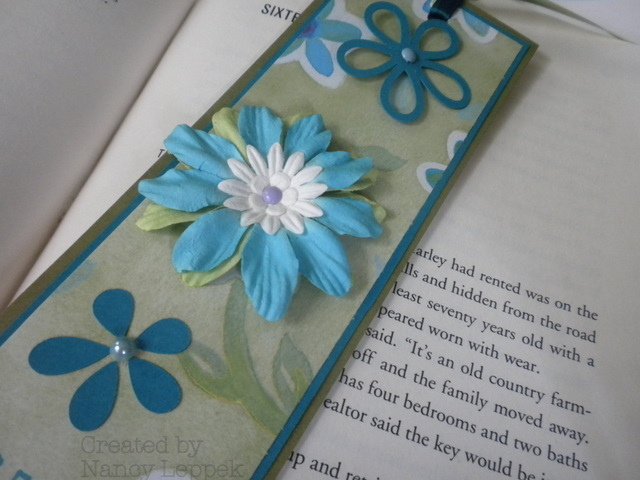 This is my first attempt at making a bookmark, which I think is kinda silly, because it was so quick and has endless possibilities! This is the latest Challenge over at Stamp TV. If you look carefully at the close up photo, I took the inside of the flower that I cut out with my Cricut and made another flower with the petals. 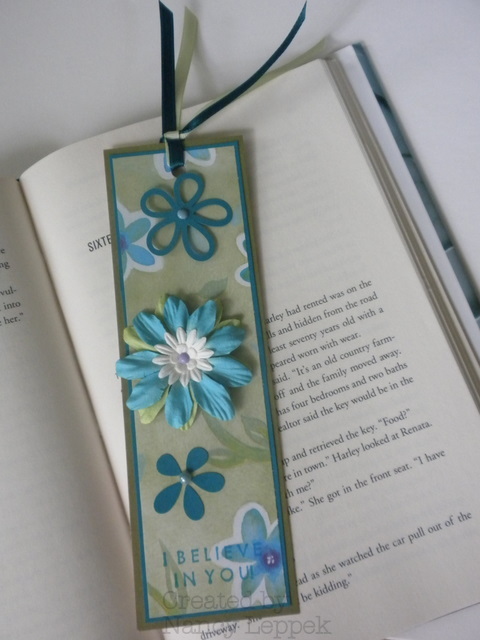 Next, I would like to attempt one of those corner bookmarks that are real popular. Wish me luck! As always, enjoy your creative time! Categories: Other | Tags: bookmarks, Card making, Cards, Cricut, Flowers, rubber stamps, Stamp TV Challenge | Permalink.